Battle Axe M4/M16 Flash 360rd High Capacity Magazine is an amazingly simple innovation that makes using a high capacity magazine quickly and efficiently much easier. 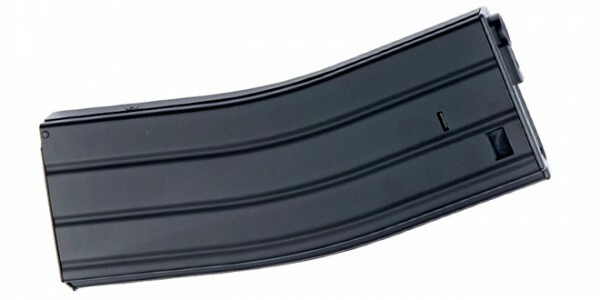 On a traditional high capacity magazine the user must wind a wheel on the bottom on the magazine to feed the BBs into the loading tube. 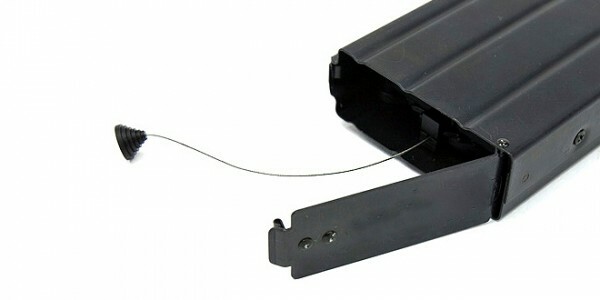 The Flash magazine uses a simple string that when pulled winds the magazine with only a few pulls. 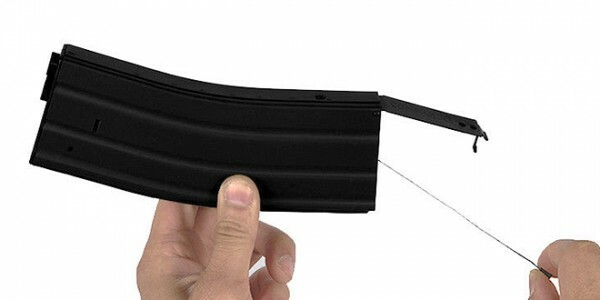 This system makes winding the magazine much quicker and easier as well as removing the wheel from the bottom of the magazine which can take away from the realism of the magazine. If you are a CQB or fast paced player then you know you can’t waste any time when on the field, and this magazine ensures that your magazines wont slow you down.